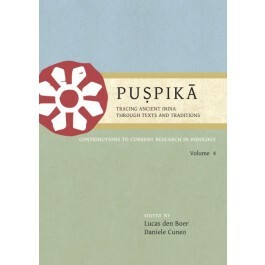 Puṣpikā Volume 4 contains the proceedings of the seventh International Indology Graduate Research Symposium (Leiden 2015). The fourteen papers included here cover a rich variety of topics related to the intellectual traditions of South Asia such as grammar, poetry and philosophy, examined from a plurality of disciplinary perspectives, with a particular emphasis on philology, history and sociology. The first four articles of focus on the Sanskrit language, from the strictly linguistic and historical perspective to the wider political issue of its uses and abuses. The second section deals with issues in poetry, aesthetics and performative arts, ranging from classical Sanskrit mahākāvyas to contemporary Kathak dance. The third section is focused on the philosophical traditions of South Asia (and beyond), with an eye to both a strictly historical approach and a more argumentative and evaluative one. Finally material culture and its relations to both the historical and the ideological are the themes treated in the last section of the volume.